While doing some early Christmas decoration shopping recently (yes, men can decorate for Christmas — be prepared to have several potential stereotypes blown) at a large and well-known national chain, the picture above caught my eye. There’s nothing inherently wrong with this wall art. 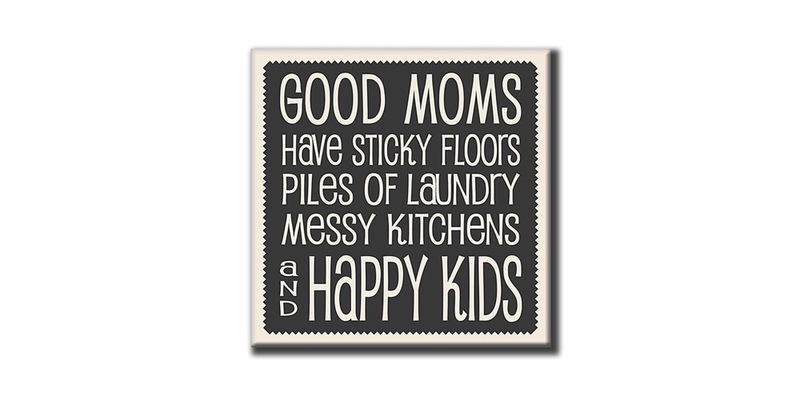 I know for a fact many good moms do indeed have sticky floors, messy kitchens, laundry piles and happy kids. 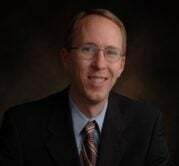 However, my thoughts went quickly to Taylor W. Wells, Communications Director with On The Mark Strategies. As a single father and friend of twenty years, I know he can also safely say that (at least on occasion) the home he shares with his children also (sometimes) features sticky floors, messy kitchens, laundry piles and (every time I see them) happy kids. In all fairness, single fathers are probably not this particular store’s primary niche market, and that’s completely okay. It would be unreasonable to expect to find every version of everything everywhere (and also violate a key tenet of marketing — you can’t be all things all people). However, in a larger sense, this experience did trigger the question — is your credit union marketing and brand experience inclusive of your target markets and demographics? For example, if your brand plan calls for a primary focus on single moms, do you have the right products and services to not only entice but satisfy the financial needs of this group? Similarly, if your plan establishes Hispanic families as a target demographic, does your marketing and brand experience reflect this? This certainly includes products and services but also how your brand is represented visually in your collateral marketing, both traditional and digital. If your credit union marketing and brand plan go fishing for a select few key demographic groups, you must use the right bait. Your product and service mix for those groups must be sound, your brand experience (at all touch points) must reflect sensitivity towards their needs and mindset and your visual brand all must work in concert to provide the most inclusive experience possible. If not, you’re likely spinning your wheels trying to reach key demographic groups with a product and service/marketing and brand approach that is potentially out of touch and lacking the inclusivity necessary to be successful. The best way to avoid this is by taking a look at your marketing and brand plan and comparing it to what you currently offer (both in products and services and your brand experience). Can you draw straight lines between your target markets and your credit union’s approach in reaching them? Or are there gaps between the two? Honestly answering these questions is critically important for credit unions with a progressive mindset focused not only on smart and calculated growth but also on doing the right thing by its members. If you are at all concerned about the inclusivity of your marketing and brand experience, take time now to discuss the issue and answer these challenging questions with your leadership team. The growth of your credit union and the authenticity of your marketing and brand experience demand it.